Andrew Garfield: 'Spider-Man' Filming with Martin Sheen!. Andrew Garfield: 'Spider-Man' Filming with Martin Sheen!. HD Wallpaper and background images in the Andrew Garfield club tagged: andrew garfield. 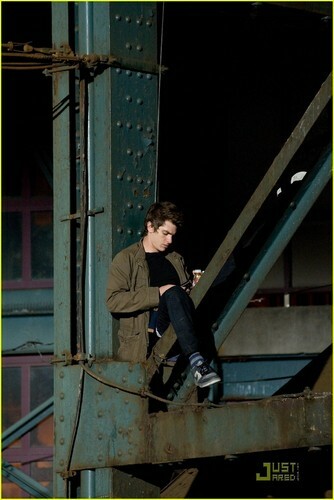 This Andrew Garfield photo might contain nhà máy cưa, máy cưa, gỗ xẻ, xưởng xẻ, lumbermill, and cưa xẽ gỗ.